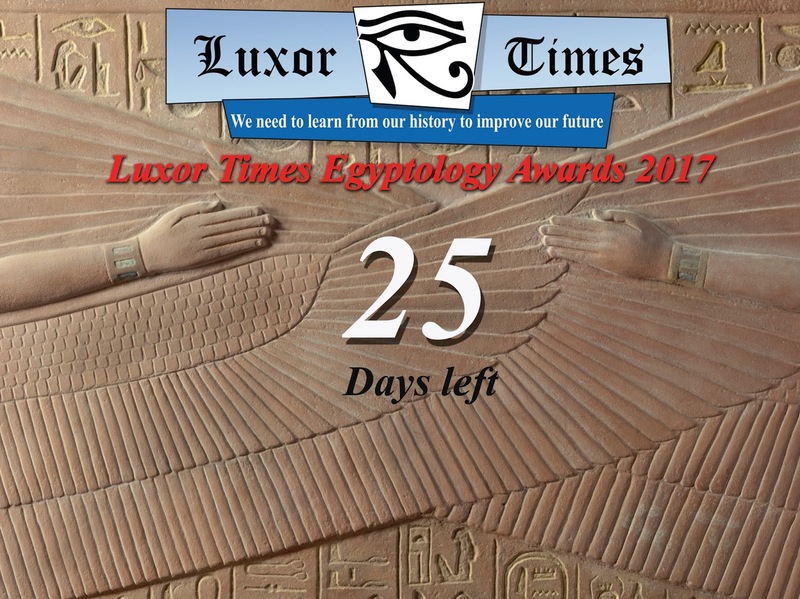 Today, 25th of January, the countdown for the annual “Luxor Times Egyptology Awards 2017” when 25 awards will be handed after 25 days from today. 2) Top 5 Restoration/Preservation Projects. 3) Top 5 Ongoing Achievements. 4) Top 5 Promising Projects. The awards ceremony will be held on 19th of February 2017 at Ahmed Pasha Kamal Hall, Ministry of Antiquities.